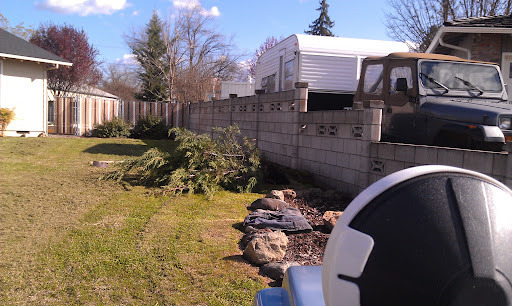 We had an ugly tree in our front yard. It appeared to have been part of a set at one time, but clearly the other one didn’t make it. 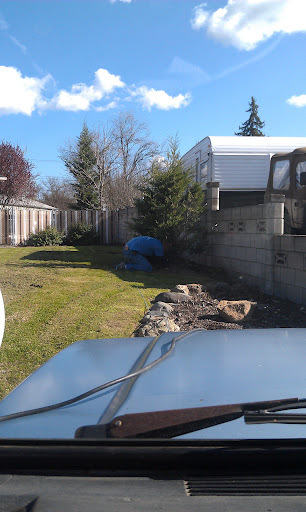 Chris and I decided to use the winch on the Samurai to get rid of the ugly tree. We did this a few weeks ago. 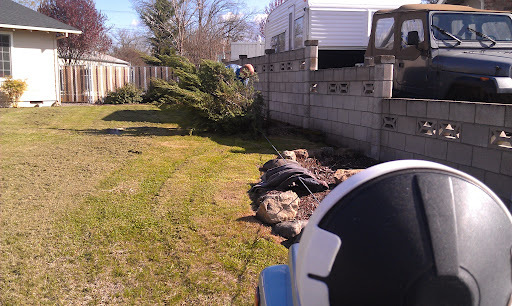 I manned the Samurai and winch control while Chris worked the winch strap and actual tree removal. 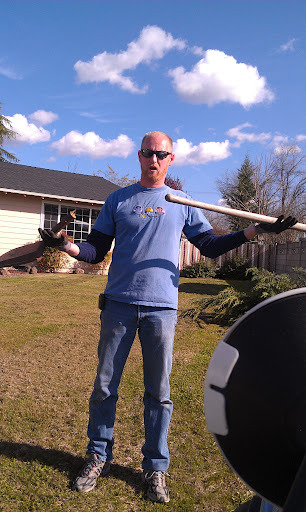 He used a shovel to break up some of the roots…. And then the shovel broke! 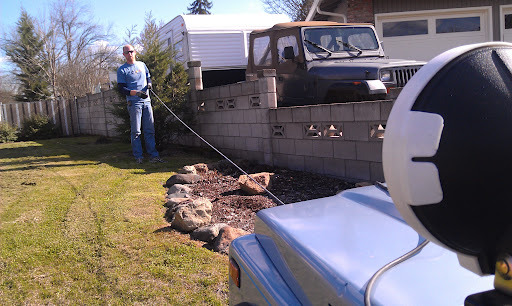 The little Samuari is so light that the winch kept pulling it up onto the curb. 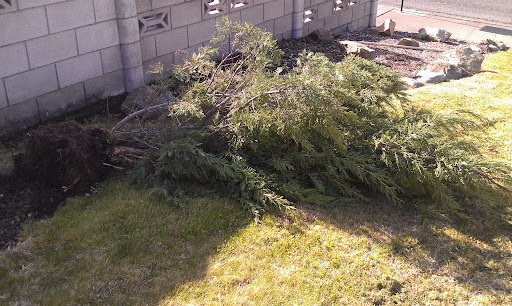 After ten minutes or so we had successfully felled the tree. This entry was posted on May 4, 2012 by Corrie Beebe in random.